4th Andretti: If Andretti does run a 4th car full-time this season, it very well could be E.J. Viso. However, prior reports from other sources that Viso was signed with the team were premature, and nothing has been confirmed as of yet. Still, Viso seems the most likely fit for this team. F1 driver Narain Karthikeyan made overtures to the team, but it doesn’t sound as if the budget would necessarily be in place to make it happen. 1st & 2nd Coyne: Well, we all know Coyne’s M.O. by now--waiting. I would still expect Justin Wilson here, but Coyne has yet to finalize that, and we can probably expect late resolution once more on this deal. For the 2nd Coyne car, we can only assume we receive our answer at the very last moment, but it looks doubtful James Jakes will be back in this seat. If you’re looking for the remaining seat(s) that is the biggest crapshoot, it would be right here. Let’s not forget Mikhail Aleshin, who has been sniffing around for an IndyCar ride. We might as well throw Karthikeyan as a possibility in here as well, because he’d have to go somewhere. 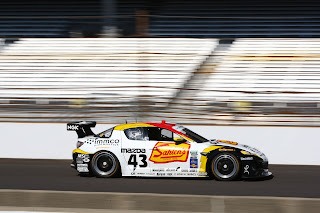 2nd Dragon: With Sam Schmidt getting the Vautier deal finally put together, this remains perhaps Ryan Briscoe’s best shot at a full-time ride. It sounds as if Katherine Legge could be farmed out to HVM as an option instead of occupying this seat. HVM Racing: As explained above, Legge may well be sent over to HVM to fulfill the terms of her 2013 employment. Right now, it would seem that would be HVM’s best bet at getting an engine deal and being a full-time participant this year. There were a lot of Viso/HVM rumors towards the end of last year, but that would appear to have cooled off. James Jakes has also been mentioned here, but there’s still the entire engine business to consider which makes the farm-out scenario perhaps slightly more realistic. It's most likely we see Jakes or Legge here for the year. As you can see above, the pickings are getting pretty slim for our remaining crop of drivers. For those who don’t figure into a full-time seat, let’s take a look at some of the part-time ride that might not be available. AFS Racing: AFS is again looking at a partial sort of season with Sebastian Saavedra, but it sounds as if the team has some financial obligations to meet before that happens. 2nd Foyt: As Robin Miller reported, Conor Daly, Alex Lloyd, and Bertrand Baguette have all been mentioned in conjunction with this seat, with possibly a different driver for Indianapolis versus a couple of one-offs at another point on the schedule. Daly did tweet yesterday about his desire to run the Indy 500 this year, for those curious about his interest level. 3rd Penske: This is an odd one, since it’s almost certainly part-time (4 races is the number thrown around). No one seems to know anything about it, and I'm no different. Truly, the ways of Penske are mysterious. 2nd Rahal Letterman Lanigan: We know we’ll see Rahal’s second machine with Mike Conway at Long Beach, and there’s a to-be-announced driver for Indy we’ll have to wait on. This seat should be a rotating one, so expect several of the drivers in the mix--Lloyd, Baguette, or possibly 1-2 of their other formerly affiliated drivers. Michael Shank Racing: Last year’s would-be driver for Indy, Jay Howard has been very quiet as of late. Shank’s been working towards some manner of alliance with an existing IndyCar team, and there’s at least a chance we’ll see the #60 DW12 at Indianapolis this season. Folks keep wanting to place A.J. Allmendinger in this ride, but I’d put the odds of that particular pairing happening as pretty slim right now, if I had to wager. That’s pretty much it for now. Oh, there will be some additional entries for Indianapolis and the like, but if you’re talking anything for a good chunk of the season, that’s what left. The hour grows late, but not so late that deal there’s no time for a shock or two. We’ll see what surprises lie in store between now and St. Petersburg. Michael Shank Racing wasn't able to defend its Rolex 24 title yesterday, but they gave it all they had. Fighting back onto the lead lap after falling far behind early after a broken suspension, they managed to podium on a day where it seemed like no one had an answer for Chip Ganassi's crew. As thrilled as I am with Charlie Kimball getting a Rolex 24 win under his belt (there aren't many nicer guys it could happen to), I have to admit I was pulling for Shank's team to pull out the win. (More notably, so was most of the Twitterverse, if you were following along online). They did their best, even leading a few laps late in the race, and making the last hours a torrent of guessing and strategy. They effectively play the scrappy underdogs to the Ganassi team's expected excellence--or at least, that's the perception. The truth is, they've built a great program, and it's that sort of judgement and stability that would be an asset as an IndyCar entrant. I know a full-time IndyCar program for Shank in 2013 looks mighty sketchy right now, and speculation has always been that Shank's association with Ford might hurt his chances of grabbing up a Chevy or Honda for IndyCar. I can't speak to that, but I do know seeing the #60 show up along the IndyCar schedule would be a welcome sight indeed. In short, this is the type of owner we want in IndyCar. Connected with fans, a respected tradition in motorsport, and the potential of bringing along a few aficionados from other racing disciplines to the series. Let's not forget, MSR has worked with Helio Castroneves, Paul Tracy, Justin Wilson, and even Sam Hornish (back in Formula Atlantics). Shank was involved in open wheel in the past, and it seems like for the past year we've been waiting to get him back. His high-profile Rolex 24 victory and struggles with procuring an engine for last year's Indy 500 have certainly kept him very much in the fan consciousness during that time. Even if it's Indy-only or just a part-time schedule, Mike Shank's team would be a welcome sight indeed. If they do jump in, I have no doubt they'll run their team with the same sort of passion and dedication we see in Grand-Am. Lotus is out of the picture, which we couldn't say a couple of months ago. Could it be that Shank could find a home teaming up with another Chevy team, as was speculated last month? This isn't some insider rant about engine policy, and I don't know the ins and outs of what all Shank would need to show up at Indianapolis or Mid-Ohio or Barber. This is just a fan saying how great it would be to see them be able to fulfill the possibilities first leaked at the tail end of the 2011 IZOD IndyCar Series season. The Rolex 24 is a sign spring is coming, and with it the IndyCar season. Let's hope that an engine contract and entry for Mike Shank is coming with it. What Is The Rolex 24? Well, we’ll assume if you’re reading this, you’re pretty familiar with racing, but the Rolex 24 is the big Grand-Am race to open their season. It’s 24 hours of racing between three classes: Daytona Prototypes (DP), Grand Touring (GT), and the GX class. Teams of drivers take turns behind the wheel in a contest that’s about both relative speed and endurance. So What Do Those Classes Mean? Well, in layman’s terms, Daytona Prototypes are where your fastest, customized rides are. You’ll see Corvette, Ford/Riley, and BMW/Riley as some of the cars entered in here. The GT class is where you see cars that look more akin to production sports cars—Porsche, Audi, Ferrari, Mazda—as you can imagine, it’s a great group, though their speeds don’t stand up to the Prototypes. The GX class is the smallest group—it’s essentially would-be GT cars that don’t meet all the criteria for that class. They have some manner of technological development, alternate fuels, or advancement that puts them in a class apart. Watching the battles within each class is a very fun part of the race. For example, last year, Michael Shank Racing’s #60 entry won the overall race, but Magnus Racing’s #44 car won the GT class while finishing P11 overall. This year, there are officially 17 DPs, 36 GTs, and 6 GX entries, though we’ll see how many actually start the race (the actual number always being a bit south of that). Where/When Can I Watch It? Race coverage starts at 3:00pm ET Saturday, January 26, on SPEED. The race begins at 3:30pm ET and ends, well, 24 hours later. You can follow along overnight via the Grand-Am website. It’s pretty cool to crash Saturday night, wake up around 9am on Sunday, flip to the website or turn on the TV, and see what befell teams in the middle of the night. If you’re a warrior, you can stay awake through the whole thing, but it’s OK.
Where are all the IndyCar drivers? Racing in the Daytona Prototype class are Scott Dixon, Dario Franchitti, and Charlie Kimball (Chip Ganassi/Felix Sabates #01/02), Sebastien Bourdais (Starworks with Alex Popow #2), Ryan Hunter-Reay (VelcoityWW #10), Simon Pagenaud and Bruno Junqueira (Team Sahlen #42), and Justin Wilson (Mike Shank Racing #60, the race’s defending champs!). In the GT class, we have Rubens Barrichello and Tony Kanaan (Dener Motorsport #21). The GX class reveals James Hinchcliffe (Mazdaspeed/Speedsource #70), and Firestone Indy Lights champ Tristan Vautier in the #00 Speedsource/Yellow Dragon ride (along with just-signed Pro Mazda driver Spencer Pigot). Other general IndyCar and Mazda Road to Indy alumni in the DP and GT classes include Gustavo Yacaman and Jorge Goncalvez (Mike Shank Racing #6), Rafa Matos (Scuederia Corsa #64), Paul Tracy (Doran Racing #77), with a few other familiar faces in there as well. I guarantee if you listen in, you’ll hear more than a few other names you’ll recognize. The GT class competition is wide-open. Oh my goodness, so many things. Over 24 hours, all sorts of issues can develop. Along from crashes, team run into all sorts of issues, and you can be assured at least one or two quality teams will see their race cut jarringly short by some manner of epic failure. There are lulls in the race, but you’ll be surprised just how much action and suspense there is—and how close the final result will be. The battle in DP should be tremendous, with the Michael Shank entries fast in testing, but they should be staunchly challenged by the Ganassi entries, who swept the front row in qualifying. The Starworks #2 entry could also be a very strong candidate, and could pull off the victory. The DP field is very solid, so watch for some surprises, as one of the other teams could very easily find themselves in a good position come Sunday morning. My dark horse pick is the Team Sahlen #42, which between Pags and Junky should be an IndyCar fan favorite. In GT, I personally think the AIM Motorsport Ferrari #61 has a good shot at the class win; plus, it gives me a chance to cheer for Max Papis. It should be a good fight, with Magnus Racing’s #44 Porsche right there, as well. Other contenders would include the Stevenson Motorsports #57 (Camaro fans take note), the Brumos Racing #59, the polesitting Konrad Motorsport #32 Porsche, and a whole host of strong Audi entries. I’ll be pulling for TK in Dener Motorsports' #21, but it will be a likely struggle for that team to contend up front. There’s plenty more, but hopefully that’s enough to get you started. Enjoy the weekend, pull for the IndyCar drivers to again put on a great show, and let the Rolex 24 help you count down the days until St. Pete! Foyt's #41: Who Should Get The Ride? This year’s IndyCar season has been a quiet affair, marked by a few intense flare-ups and the usual, requisite waiting for news. However, A.J. Foyt and Robin Miller helped break that open this week with the news that Conor Daly, Bertrand Baguette, and Alex Lloyd are all under consideration for the #41 ride at Indianapolis this year. While it sounds like the chances of the #41 being anything other than a part-time ride are iffy, that’s an intriguing list of names for Indy. The only issue most IndyCar fans will have with that list is that it’s too tough to choose, with each driver bringing their own big plusses to the seat. It seems as if Conor Daly has been on the radar of IndyCar fans since he was in diapers. The 21 year-old driver and 2010 Star Mazda champ has had a few Indy Lights races under his belt, but his last two years have been mainly consumed with GP3. While Europe still seems to be his focus, he’s also been open to driving IndyCars where the possibility presents itself. You can’t get a much better possibility than Indy. Interestingly enough, if he did qualify for the 2013 500, it would be exactly 30 years after his father, Derek Daly, raced in his last Indy 500. Conor may be the youngest and relatively least-experienced driver of the three when it comes to IndyCar, but his presence would clearly be welcomed by a lot of fans. Could Baguette return to Indy? I’ll readily admit to being a proud member of the Bertrand Baguette Fan Club, American Chapter (BBFCAC), even as his career has gone away from IndyCar and more into endurance racing in Europe. Even as a rookie in 2010 IndyCar, he took care of his car, learned quickly on the track, and stayed out of trouble. 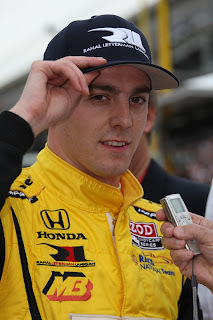 In 2011, his one-off appearance at Indy had the press scrambling for Wikipedia, as he came within a few laps and a splash of ethanol from winning the 500. The “Breadman” not only has one of the best names to appear on the driver rolls at Indy, but he’s plainly up to the challenge of competing for victory there, as well. Alex Lloyd is the most experienced driver of the three when it comes to the 500, and certainly brings a reputation for getting what he can out of even lower-tier rides. His 4th place finish in 2010 will not quickly be forgotten, nor will his heroics in willing a misbehaving Coyne machine through a teeth-clenching qualifying run on Bump Day in 2011. He definitely seems to get what Indy is all about. As a plus, he’s a hugely entertaining writer, and has gathered somewhat of a following for his series of articles over at Jalopnik (warning: potentially NSFW). Lloyd would be an asset to the series in both his driving and his writing, and I’d still love to see a team pick him up for the full season. Still, if we get him for at least Indy, that’s a good start. Who would my pick be? As much I’d love to see Daly get a shot at Indy sometime, I’m having a very tough time not picking Lloyd or Baguette. Both have some good experience under their belt, both have good finishes at Indy, and both are the sort of smart, competitive driver you want to see at Indianapolis. Again, though, this is a question where I don’t think there is a wrong answer among the three. Daly, Baguette, and Lloyd all have their strengths as choices for that ride. Honestly, all three are terrific drivers, and I feel a case could be made for all three in terms of being the best/most entertaining/most deserving entry. I’m sure as we draw closer to spring matters will come into clearer focus, but for now, the Foyt team has left us with a heck of a riddle to ponder. So, how about it? Who would your pick be for the Foyt #41 car this year at Indianapolis? This year's Milwaukee IndyFest will be my oldest daughter's first IndyCar race. At eight years of age, she's gone to practice and tests at Indianapolis Motor Speedway aplenty, but the Mile will be her first full race weekend. As such, I've been following closely to see what IndyFest will be offering this year. Andretti Sports Marketing did a fine job bringing back last year's race, and their event staff was superb, but I wanted to see if they could add more to the race weekend. Happily, it looks like that's going to be the case this year. Not only will Pro Mazda be racing Saturday at IndyFest, but the main event will be 25 laps longer than last year's 225-lap event. I think that's a welcome development for most fans. While most of us were just ecstatic to have MKE back on the schedule last year, the Mile has a strong place in the tradition and legacy of open wheel racing. It's one of a handful of tracks that can even come close to the history of Indy, dates from the same era. The first cars raced at the Mile a few months before the Wright Brothers' first flight. Racing there pre-dates Indianapolis. It's a track where Barney Oldfield, Ralph DePalma, Rex Mays, A.J. Foyt, Rick Mears, and a whole host of other legends won, as part of a list that reads as a Who's Who of this sport. On a somber note, it's where Indy 500 drivers Ed Elisian, Jim Hickman, and Ronnie Duman all lost their lives. It's been home to as much drama, despair, sudden turns, and glory as any oval in America. That's an open wheel legacy that can only be properly protected by a successful, high-quality, regularly recurring racing event. Fortunately that's what we're in line for. This is going to be a pivotal year for the Mile. Enough support showed up in 2012 to make 2013 a go, and now we'll see if the event can endure and grow. Certainly the Andrettis are doing their part--they've partnered with SummerFest, pushed the "event atmosphere" that make racing events more attractive to the casual fan, and have taken steps to expand the on-track offerings. I hope my daughter is only one of many fans who get an introduction to INDYCAR that weekend in June. 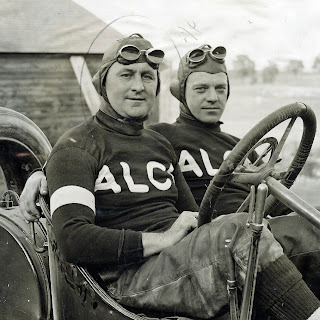 Most folks remember the 1915 Indianapolis 500 as the year Ralph DePalma overcame his famous 1912 loss and finally won the 500-Mile Sweepstakes Race in his own right. Less remembered, perhaps, is the driver who finished 17th that year. His name was George Carlos Babcock (often referred to as G.C. Babcock), and he would race at Indianapolis only that once, but it was far from his only moment of glory. In today's History of the 500, we take a look at a little-known racer, and his time both at and away from Indianapolis. To start with, Babcock was no spring chicken when he contested Indianapolis. Just shy of age 39 at the time of his Brickyard experience, the Hartford, Connecticut native had already lived a life more exciting than most. He apparently spent some time as a test pilot, though the particulars are scarce. In 1911, he served as riding mechanic to Harry Grant in the Elgin National Trophy Race. Their entry? None other than the famed, monstrous Alco "Black Beast", which seemed unbeatable in the racing campaigns of the years prior. It would finish 2nd in that year's Elgin tilt. In 1914, Babcock got his first taste of Indy, as he again played riding mechanic to Grant, this time in a Sunbeam. The duo finished all 200 laps on their way to finishing P7. As a driver, his 1914-1915 pre-Indy campaign was brief, consisting of a Did Not Start at Sioux City, followed by an early finish at Corona. Both races were contested using Sunbeams. His last AAA race before Indy was at Ascot, where he contested the event in an Isotta. His car in the 1915 Indianapolis 500 was a Peugeot, and he completed 117 laps before retiring with a cylinder issues. It would also be the only Indy appearance for his riding mechanic, one Mr. J.E. Wicker. Curiously, several websites refer to him as having finished 12th, but this is not the case. Instead, you'll find him behind names like Mulford, but just ahead of Klein, Rickenbacker, and Chevrolet. His Peugeot entry is also interesting, since it was the last of three Peugeots allowed into the field--at the time, the 500 only allowed three cars per manufacturer in the race. With Bob Burman's car judged to be a Peugeot as well, Jack Le Cain ended up as the odd man out of the Peugeot entrants. An interesting sidenote to Babcock's brief Indy career: he is listed as having been saved in a practice crash by a newly-installed retaining wall at the track, the first recorded entrant to be afforded that salvation. Babcock did not race again in recorded AAA competition, and passed away in his hometown of Hartford on October 28, 1921 after an illness. His hometown paper called him onetime "King of the Racetrack" in his funeral notice, and perhaps in a sense, he was for a time. Getting to run around in an Alco "Black Beast" and contesting Indianapolis are not privileges that come to everyone, after all. That's the short story of George Carlos Babcock, one of the drivers featured in those first few formative Indianapolis 500s. Of course, any driver, no matter how well-known or obscure, that had the guts to contest Indy, is worthy of respect and memory on that account alone. Babcock isn't a household racing name, but he definitely remains a part of the history of the Greatest Spectacle in Racing. 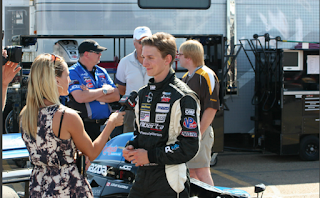 We've chatted with everyone's favorite Son of Edmonton before, but now Canadian driver Stefan Rzadzinski is preparing for a full season of racing in USF2000. It's been an up and down ride for young prospect on the Mazda Road to Indy, but he'll be entering into what should be a very solid situation as he teams with driver Michael Johnson and JDC motorsports in a full-time gig. Stef, thanks so much for your time. How long has your deal with JDC Motorsports for USF2000 been in the works? Rzad: Since the end of last season, my goal has been to put something together with JDC Motorsports for the 2013 season. Although initially we were working towards a full season in Pro Mazda, a good opportunity came up in the last few months with their USF2000 program. With the loss of the Edmonton Indy, it was a bit more difficult to put some of the budgets together. However, my supporters CanTorque, Christenson Developments, Goldmark Diesel and Calroc Equipment really stepped up early and helped ensure I had a full-season program this coming year. I'm very excited to get in the car and get the season going with JDC Motorsports! So, the big question: what does this move to USF2000 bring to you in terms of a career move? Rzad: I'm really excited about this opportunity in the USF2000 Championship as it finally brings me some stability for the first time on the Mazda Road to Indy. I've learned quite a bit over the last couple of seasons, but I was always after a full-season program. In a way, this might even be seen as an opportunity to really see the true "start" of my path on the Road to Indy. We've seen some big car counts in USF2000. Is that going to be a change from some of your previous experiences on the Mazda Road to Indy? Rzad: It will be a bit different from the other series', but it is also the same for everyone in USF2000. In the end, we have to focus on our program to be successful. Pro Mazda (formerly Star Mazda) certainly had an interesting offseason. Do you some positive changes coming with Dan Andersen now at the helm of that series? Rzad: Looking at what Dan Andersen has done with the USF2000 Championship, it's hard not to get excited about him getting involved with Pro Mazda. I'm excited to be a part of their program this year in USF2000, and hopefully I'll be back in a Pro Mazda car shortly as well! Have you had much of a chance to see your new teammate Michael Johnson race yet? Rzad: He was up skiing in my part of Canada just a few days ago, but I didn't get a chance to catch up with him. However, I raced with Michael in Skip Barber in 2011 and we developed a good relationship there. Both being with JDC Motorsports in 2012, we also shared the same events on a number of occasions. We both get along well and I expect to have a solid season with him as my teammate in 2013! Can you talk a little bit about your sponsorship program? I know you've worked hard on putting together a package in conjunction with your Powered By Alberta program? My sponsorship program for this season has really come out of the Powered by Alberta program I started last year. Initially, it was about getting support from Alberta businesses to have a local driver in the Edmonton Indy, as well as across the continent. This year has been a continuation of that, but we've really had a few of my partners from last year step up and make it happen individually. CanTorque and Christenson Developments have significantly stepped up their support and are the main reason I could commit to the JDC Motorsports team. We're still looking to add more partners to our program though, and hope to announce more partnerships in the coming months! Since we're talking about Alberta, how have things been in Edmonton since the Edmonton Indy was cancelled for 2013? Rzad: Initially, I think the cancellation of the Edmonton Indy was a shock to everyone, including myself. It took a little while for people to start to come around and talk racing again, but I'm very glad some people have seen it as an opportunity to use my program to keep Edmonton and Alberta in the IndyCar circles. Obviously, it did not help with some of the local supporters who were using that event as their sole activation point. However, we are working on things to stay involved and active locally, even without the Edmonton Indy! In saying that, I'd love to see the event come back sometime very soon. So what's on the schedule now as you prepare for the race season? Rzad: Right now I'm in the JDC Motorsports shop in Minneapolis with the team for a few days while we prep for pre-season testing. After that, we'll be heading to the track and doing the USF2000 Winterfest at the beginning of February before the season kicks off. We've talked before about the special legacy of Canadian drivers in open wheel racing. How much does that stick with you on a day-to-day basis? Rzad: It's hard not to look past it because there has been so much success from Canadian drivers in motorsports, specifically in open wheel. Looking back at guys like Greg Moore, Paul Tracy, Gilles and Jacques Villeneuve, you see drivers who have left a big imprint on the racing world. Even in IndyCar at the moment, Alex Tagliani is a veteran who has been successful and stuck around for many years, while James Hinchcliffe is on the rise. I think there's a special sense of pride in being Canadian in motorsports, maybe it's because our racing season can be so short! I know in many cases Canadian drivers travel south quite often nowadays, but I grew up karting between May and September for many years. After your first race this year, you will have raced in events including Pro (Star) Mazda, Firestone Indy Lights, and now USF2000. Do you feel like you'd be able to jump back up to Lights without much of a disruption? Rzad: It's pretty cool to have an opportunity to sample every part of the Mazda Road to Indy ladder, even if it means I've been a bit of a nomad! Overall, I think it has helped me in my career. Even though I probably jumped head first into the fire with my Indy Lights debut, I believe it allowed me to adjust to the Pro Mazda in a shorter period of time. I'm hoping that my experience with the Pro Mazda will also assist in adjusting into an USF2000 car fairly quickly! I do think I've learned a lot since the first time in an Indy Lights car, so I am confident I could go there and get back into a flow fairly quickly and be much more proficient. If the last few years have taught me anything, it's to be adaptable to whatever challenges I'm confronted with. I think the story of my career thus far has mostly been opening doors and trying to make the most of my opportunities. For 2013, I'm excited to finally have a full program in place where I'm confident I will be able to develop the most as a driver. Could Kickstarter Fund An IndyCar Driver? 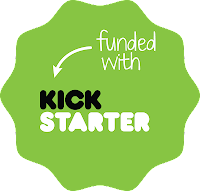 For those not familiar with Kickstarter, it's been making huge waves in both media and gaming circles in the past year or so. The idea is that it can be used as a source of "crowdfunding" for projects that migt not otherwise see the light of day. In return to donating money towards the accomplishment of a project, backers are often rewarded with anything from a simple word of thanks to a copy of that item. (For example, pledging to fund the development of a video game often has a reward level of getting a copy of the game upon its release, along with perhaps some promotional items if you pledged at a higher level). It isn't a sure thing, and some projects have been notorious busts, but there are also big success stories. We all know that funding in racing is a dicey proposition. Drivers such as Justin Wilson have already tried a fan-funded approach (see: the Justin Wilson Investor's Club), and a couple of racing teams have tried selling stock to fans before. So could the Kickstarter model work to get an IndyCar driver the funding for a ride? Well, first off, you'd need to look at the cash needed. For our purposes, let's say we have a driver that's aiming for the Indianapolis 500. You're looking at about $500k for a smaller Indy-only program. Now, you'd need to have a driver with a strong social media following, but that's not all. You'd need a good story so the Kickstarter gets picked up either for its novelty or interest through several media outlets to get the word out. Perhaps most importantly, you'd need goals to whet the fans' interest to donate more. So perhaps at the 35 level, the fan gets an autographed shot of the driver. At $50, perhaps they get a t-shirt. If you have a limited number of very high-level slots (say at the $500 level), it might include a meet n' greet or special event with the driver for the Month of May. Still, if you had to raise that much in funds, you'd have to set some realistic donation levels, give it plenty of time, and have the right driver in terms of social media outreach and the ability to hook interest to give the effort a shot at funding. Frankly, I'd be immensely curious to see a driver try it, because I'd like to simply see if it could be done. I think if it caught the imagination and got picked up by enough outlets it could, but it would be no sure thing. Someone mentioned midget racer Jessica Bean has a crowdfunding effort in place, though it works a bit different than Kickstarter. With a goal of $10,000, she's raised half that in about three months. It makes me wonder what someone really active online, like an Alex Lloyd (especially with his Jalonik hookups), Pippa Mann, or even Bryan Clauson could do if they tried to get the funding needed through Kickstarter to run Indianapolis. I suppose if I had tried everything else, I might give it a whirl. I know I'd throw in for any of those drivers to get another shot at the Greatest Spectacle In Racing. The question is, how many other folks could be persuaded to do the same? Long-time readers of this site will know I bow to no one in my esteem for Indianapolis Motor Speedway Historian Donald Davidson. The Talk of Gasoline Alley is one of the high points of my year. Just as seeing robins flying about is an indicator of early spring in Indiana, hearing Donald on the radio is a sign that the Month of May is truly upon us. Of course, one of the iconic moments of every year of Donald's radio show is that awkward moment where a caller phones in with a question about their grandfather or next door neighbor who supposedly qualified for the 500 back in the day. Often, these claims are false, and Donald is forced to dispense with the caller, crushing their dreams, beliefs, and potentially their family legends in one sympathetic, if slightly curt, dismissal. Through work the other day, I met a woman who had attended a few Indy 500s, and has had family in the area. We fell to talking about the 500, and she mentioned how her great-uncle had been a driver in the 1950 Indy 500 field. The only problem was, the driver in question not only was not in the field, but neither were they a relief driver or failed qualifier. Unless they raced under a nom de plume, they were not in the field at Indy. I didn't call her on it, though. First off, I thought perhaps I was wrong, or simply didn't recognize the name. But when I did my research, there was no mistaking it--her great-uncle simply wasn't in 1950's Indy 500 field. I always wonder with these sort of cases, was the older family member just having some fun with their relatives? Were they telling tall tales, or did the story just get confused in the retelling over the years? Perhaps "I met Bill Holland at the Indy 500" somehow morphed into "I drove with Bill Holland at the 500". I'll leave the business of (somewhat gently) ruining purported family legacies to Donald, however. I do like to think that when I'm old and gray, I'll tell any extended family members that'll listen that I raced Indianapolis one year. Let's see if I can get away with it. I suppose if you wanted to succintly sum up the 2012 INDYCAR experience for the fan, it might simply read "a dream season on the track, and more instability and confusion off-track". We got to see a tremendous championship battle, surprise winners, and a car that defied all the critics in terms of racing in 2012. We also had to deal with uncertainty, bickering, and losing some quality folks in the INDYCAR organization. Still, I find myself encouraged in regards to 2013. There's nothing quite like a new calendar for turning the page, is there? I look ahead, and I see 365 days on which the future has yet to be written. Everyone starts with a clean slate, so to speak. Andretti, Ganassi, Penske, Dragon, Fisher Hartman, and the rest--we get to see what each has up their sleeve in turn. 2013 won't be perfect, we know that. There will be days that make us scratch our head, and probably a half-dozen mini-crises between now and Indianapolis. But there will also be some tremendous racing, great surprises, and twists and turns that none could have foreseen. For me, I can't wait to see if Ryan Hunter-Reay can defend his championship, if Marco Andretti and James Hinchcliffe can find the winner's circle, if Simona de Silvestro can have a comeback season, if Sebastien Bourdais will finally blow everyone away, if Alex Tagliani and Bryan Herta can keep pushing that team to the next level, and if fan faves such as Alex Lloyd and Pippa Mann get to make an appearance once more. And of course, I want to see if Takuma Sato can make that Lap 200 stick. We're passionate for INDYCAR, and that makes every season a rollercoaster. We feel every bump and nudge along the way all too keenly. But it also makes the high points essentially euphoric for us, as well. I hope that in this New Year God grants me an appreciation for my blessings, the presence of mind to enjoy them, and a sense of perspective when things don't go as planned. Come to think of it, that's not just limited to INDYCAR, either. 2012 is in the books. May 2013 be an even better year. I'm looking forward to it, and another great year with my fellow fans and friends.